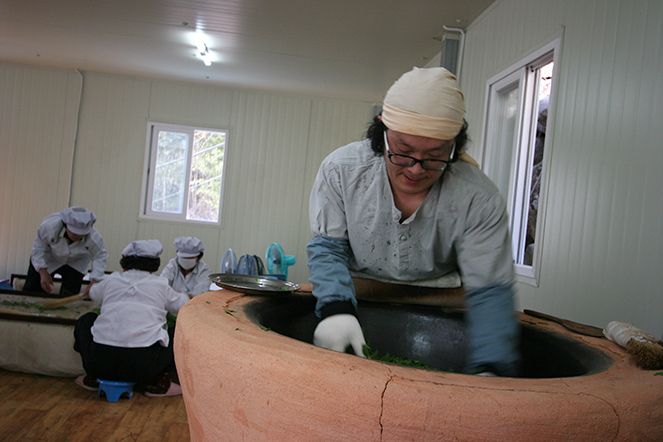 Jukro from South Korea is one of the finest quality teas in the world. I know just one farmer who produces it. He can only do so in the first days of May, using his best leaves. The quantity obtained is so small that only a few customers are able to enjoy it. I think you can imagine how eagerly I anticipate his new plucking every year. The richness of the tea’s flavours and its complexity and length in the mouth are worth tasting at least once in a lifetime. where is this tea produced exactly in Korea? Hello Anna ! Thank you for your comment ! Best teas in South Korea come mostly from Boseong and Hadong areas and from mountains around those places, and also from Jeju island. I wish you happy tea tasting !